Dental anxiety is a real phenomenon that prevents millions of patients from receiving the dental care they need. As a pediatric dental office, we want to create an environment where patients can experience anxiety free dentistry. We know our patients will need to have dental care throughout their lives, and we want to help them develop good dental skills so the dentist office is a positive experience. Whether your child needs sedation or just a child-friendly environment, Dr. Aaron Christensen and his team are ready to help. 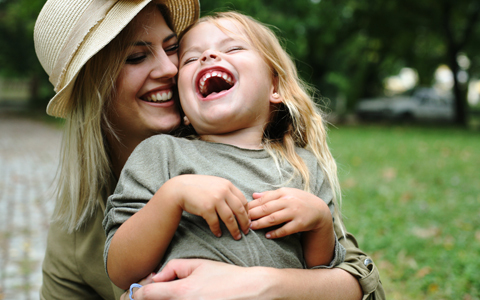 How Can My Child Benefit from Sedation Dentistry? Sedation dentistry can allow your child to receive one or more procedures in a short period of time with more comfort and less stress. Nitrous Oxide | Also known as “laughing gas,” this mild sedation method is inhaled through a breathing mask placed over the nose. It allows the patient to feel relaxed and content throughout the procedure, and its effects wear off quickly after treatment. Moderate Sedation | Moderate sedation is best for patients with mild to moderate dental anxiety or those who need help holding still for multiple procedures. The intent of moderate sedation is to have the patient relaxed enough to cooperate with dental care but alert enough to follow verbal instructions during the procedure. This type of sedation is administered by the dentist in the office. IV Sedation | IV sedation is best for patients with significant dental anxiety or those who need advanced procedures. This type of sedation is administered by an nurse anesthetist who will come into the office. General Anesthesia | For patients who are too anxious to cooperate with other types of sedation or whose health history will not allow other types of sedation, general anesthesia can be an option. Dr. Christensen maintains surgical privileges at a local surgical center where our patients receive excellent care. The dental work provided in a surgical center is typically the same as in our dental office, with the main difference being the type of anesthesia given. We are confident that we can find the sedation method that is right for your child. To find out more, call our office.